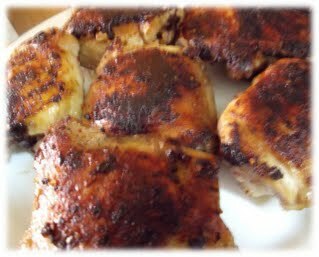 If you like dark meat that is packed full of flavor, chicken thighs that are hot off the smoker are an inexpensive way to feed the entire family. The other nice thing about cooking just the thighs is they tend to cook faster than smoking a whole bird, yet still provide adequate meat on the bone versus smaller cuts like chicken wings. Thighs are a popular cut to smoke due to their fattier content than white meat and their relatively low time to smoke. Typically thighs can be smoked in 3 hours or less compared to 4 for a breast and 5 for a whole bird.